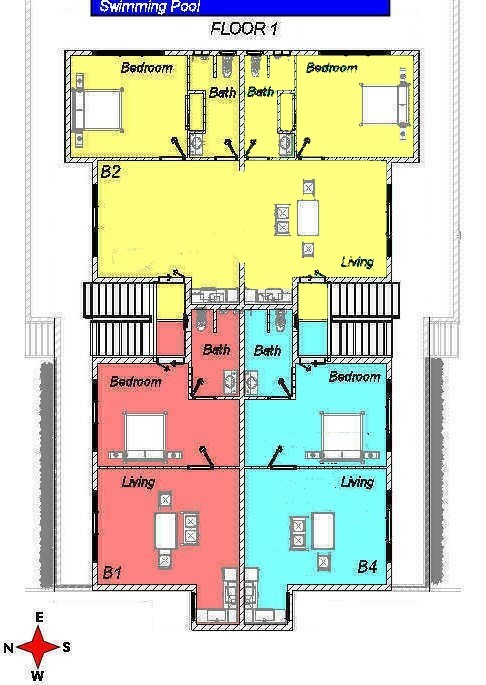 Kitchenette, with the following facilities: cooking hob, fridge freezer, microwave, and kettle. Internet WiFi or LAN connection (ADSL 6 Mb). Direct telephone line for long term contract available upon request. Local cable TV with at least 50 channels, including many English channels and one French channel. Porcelain and ceramic tiled floors. Q-CON 20 cm thickness walls for a good insulation. Most of the buildings in Pattaya don't have this feature. Under cover parking in front of the residence. Security ensured by a video surveillance system. Sea view for some apartments or view on the swimming pool. 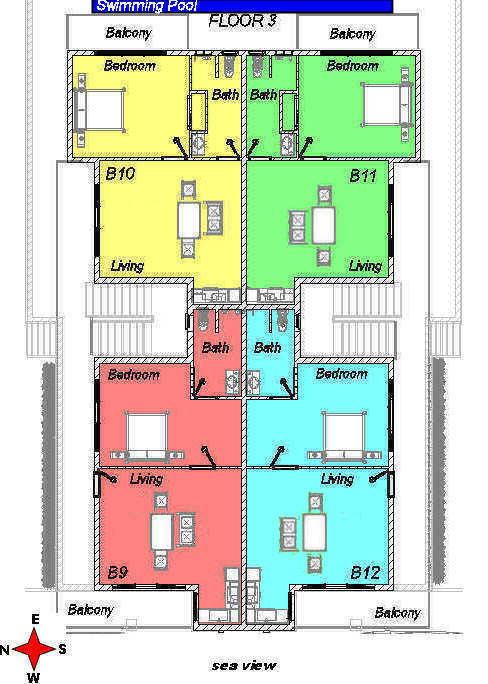 By choosing B1 to B4 you will stay also on the ground floor but at Malee Residence. 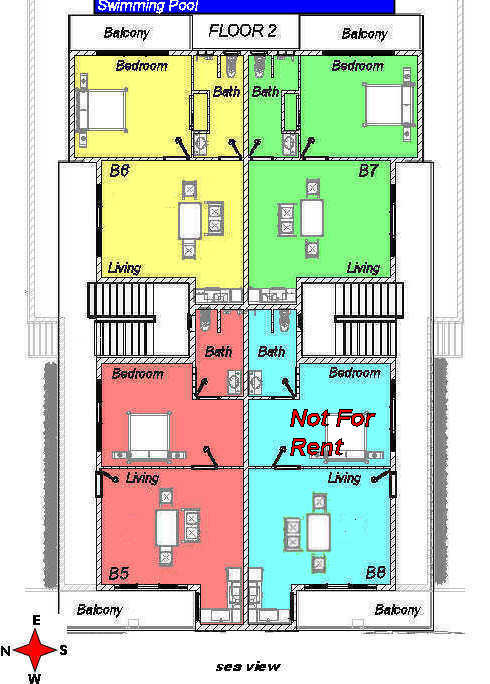 For B5, B6 and B7 you will stay on the 1st floor at Malee Residence. And finally B11 to B12 are on the 2nd at Malee Residence. 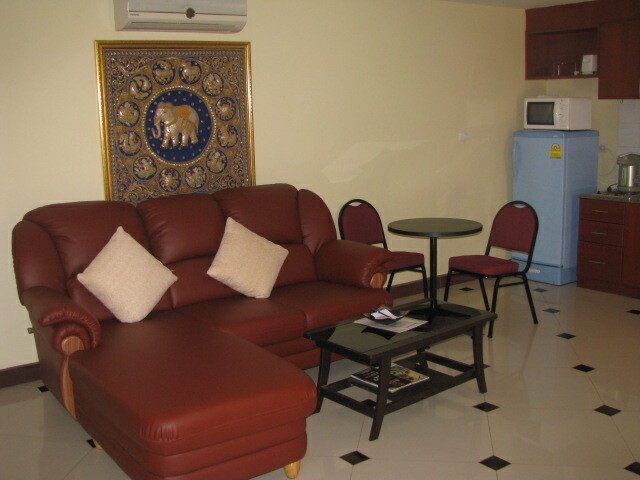 Still at a reasonable price you can benefit from more space to welcome your friends. Copyright © Malee Residence Co., Ltd.. All rights reserved 2005-2019.